SYDNEY — Benjamin Netanyahu has described his visit to Australia, a first for a serving Israeli prime minister, as "wonderful." Netanyahu and his wife Sara concluded their five-day trip to Sydney on Sunday by meeting with Foreign Minister Julie Bishop. "This has been a wonderful visit here. You people are amazing," Netanyahu told Bishop before talks behind closed doors. Netanyahu joked with Bishop, who had recently arrived home from a trip to the United States and Britain, that the pair had "shared more or less the same route." 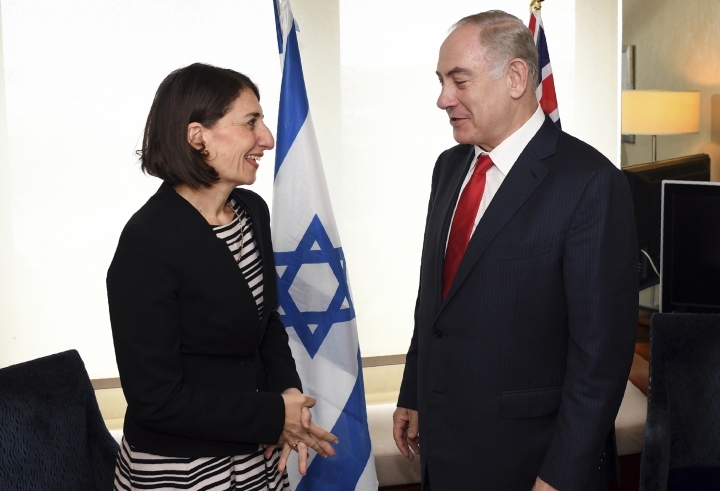 Netanyahu and Prime Minister Malcolm Turnbull last week agreed to deepen business and travel links between the two countries. 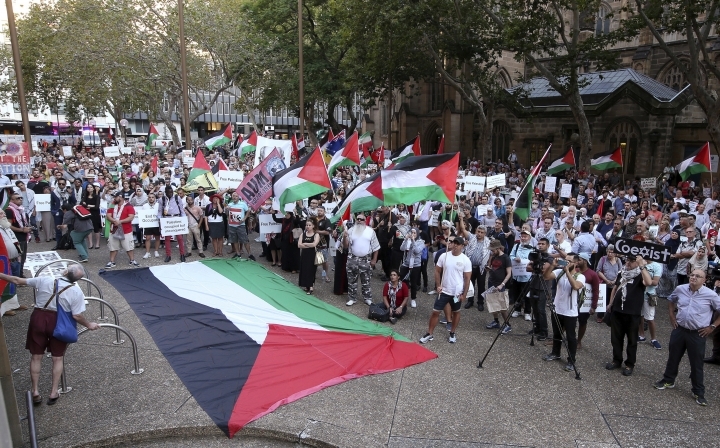 About 1,000 pro-Palestinian protesters at Sydney's Town Hall on Thursday night complained that Netanyahu was being treated like a celebrity in Australia when he should be tried for war crimes. 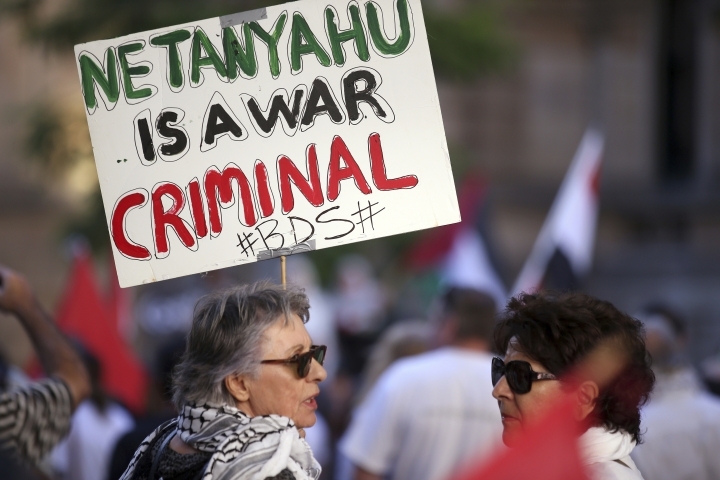 He was also accused by former Australian Prime Minister Kevin Rudd of frustrating negotiations with the U.S. to create a two-state solution to Israel's conflict with the Palestinians. Netanyahu met political, business and Jewish community leaders during his stay. He was accompanied by a large security contingent as he traveled around Sydney. Netanyahu had been to Australia twice before but never as prime minister. "I'd stay longer if I could," he told Bishop.